This was just in the news here. Usually now is the slow season for this kind of thing. Flying Season starts at Christmas and ends about the beginning of May. About three foreign men per week, sometimes more, choose to end it all. There are probably other less dramatic, less easily visualized ways to commit suicide, but the one that captures imaginations is this. Like the Golden Gate Bridge, the balcony proves a lure for those so inclined. Yes this is the time when foreign men inexplicably begin to leap to their deaths from the balconies of their high-rise apartments, usually in Bangkok, Pattaya and Phuket. 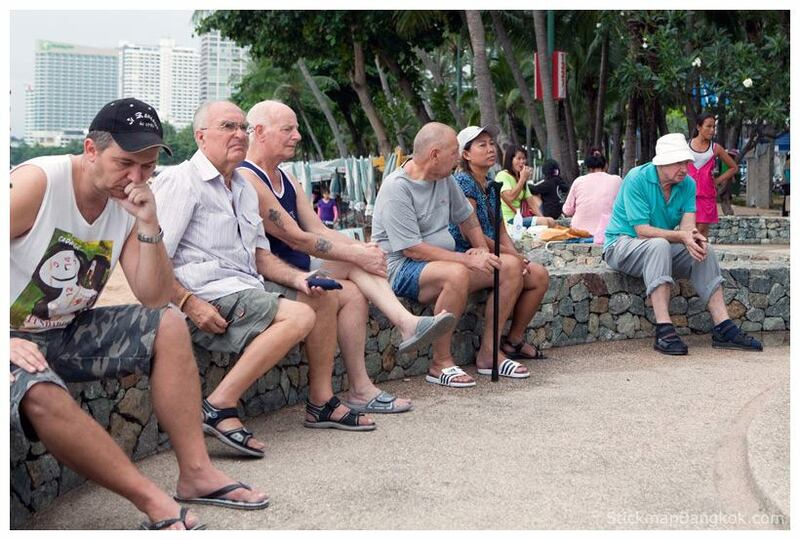 The above news story is not uncommon here in Thailand, where many lonely foreign men eke out their final days. Apart from the vicissitudes of senescence itself, the gnawing realization that the girls who have been so attentive have been more interested in your wallet than your personality finally gets to quite a few of these guys. The Thai police always rule these balcony jumps as suicides, even if the man is found with his hands tied behind his back or his head in a plastic bag found thirty feet from the body. These bar girls have brothers and boyfriends and to them, this is no game. Loneliness kills, no doubt about it. Most of them are probably suicides, because this is the jumping off place, the place you wind up when you can no longer imagine life anywhere else. i did not know this falling off balconies by old guys is so common in thailand. it is something no one mentions in the international news about thailand. i suppose they dont want to frighten off the expats.